Meet Nadine, an affable humanoid robot with soft supple skin, beautiful brunette hair and a personality of her own. Created by scientists at Singapore’s Nanyang Technological University (NTU), this highly-social robot can hold conversations with people, smiling and shaking their hands while doing so. 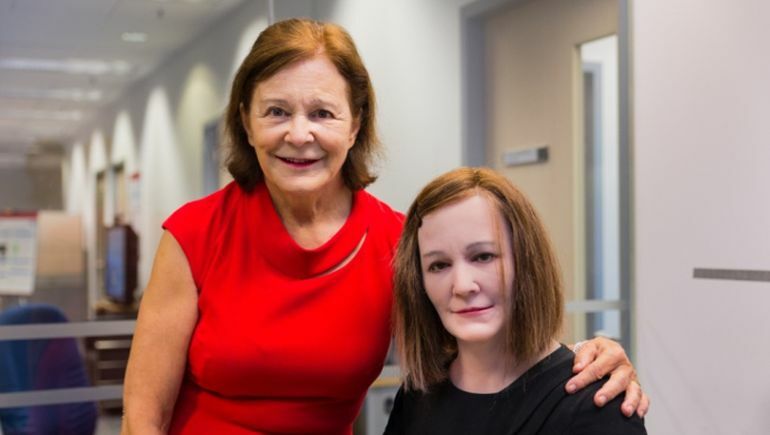 The automaton, modeled after its developer Professor Nadia Thalmann, can be used as a personal assistant in homes and offices of the future. Robotics technologies have advanced significantly over the past few years, and are already being used in manufacturing and logistics… Over the past four years, our team at NTU have been fostering cross-disciplinary research in social robotics technoogies – involving engineering, computer science, linguistics, psychology and other fields – to transform a virtual human, from within a computer, into a physical being that is able to observe and interact with other humans. As countries worldwide face challenges of an aging population, social robots can be one solution to address the shrinking workforce, become personal companions for children and the elderly at home, and even serve as a platform for healthcare services in future. This is somewhat like a real companion that is always with you and conscious of what is happening. So in future, these socially intelligent robots could be like C-3PO, the iconic golden droid from Star Wars, with knowledge of language and etiquette. Expressions Display and Gesturing Avatar Robot (EDGAR) is another humanoid robot currently being developed at NTU. Built primarily as a service robot, it has two versions: EDGAR 1, a robotic avatar that can mimic the gestures and expressions of real humans, over long distance. To be able to control the automaton’s actions, the user needs to stand in front a highly-specialized webcam, which in turn causes it to reproduce the person’s expressions and upper body movements in real time. 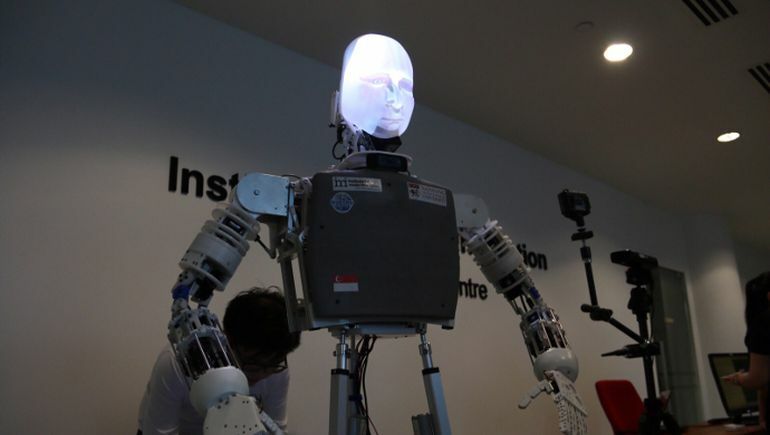 According to researcher Wong Choon Yeu, such robotics could usher in a new age in telecommunications. EDGAR is a real demonstration of how telepresence and social robots can be used for business and education. Telepresence provides an additional dimension to mobility. The user may project his or her physical presence at one or more locations simultaneously, meaning geography is no longer an obstacle. In the future, a renowned educator giving lectures or classes to large groups of people in different locations at the same time could become commonplace. Or you could attend classes or business meetings all over the world using robot proxies, saving time and travel costs. 1 Comment on "NTU develops Nadine, an affable humanoid robot with a personality of her own"
It wont’ be long until James Cameron’s Skynet becomes reality. Have we learned nothing from the Terminator movies?